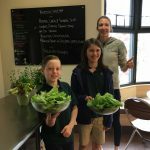 Have you ever heard of Breen lettuce? 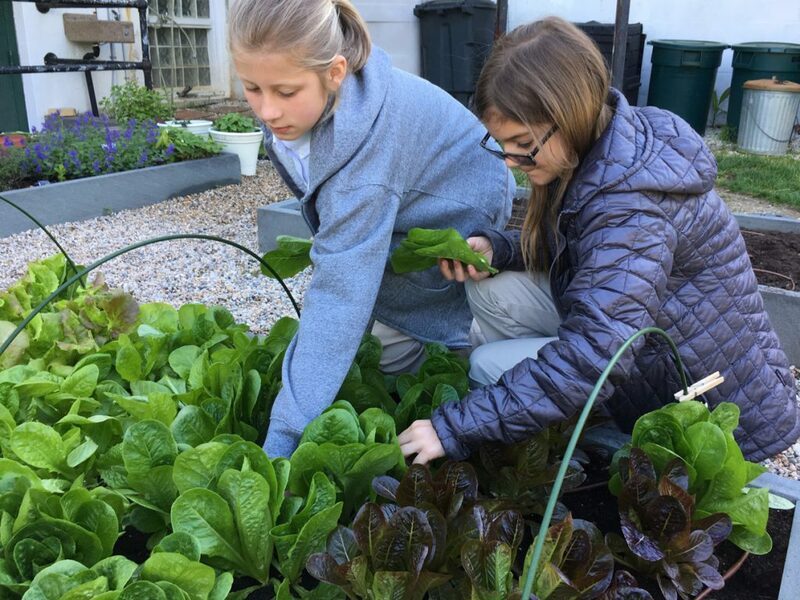 It is a compact, mini romaine that has a beautiful bronze red color. 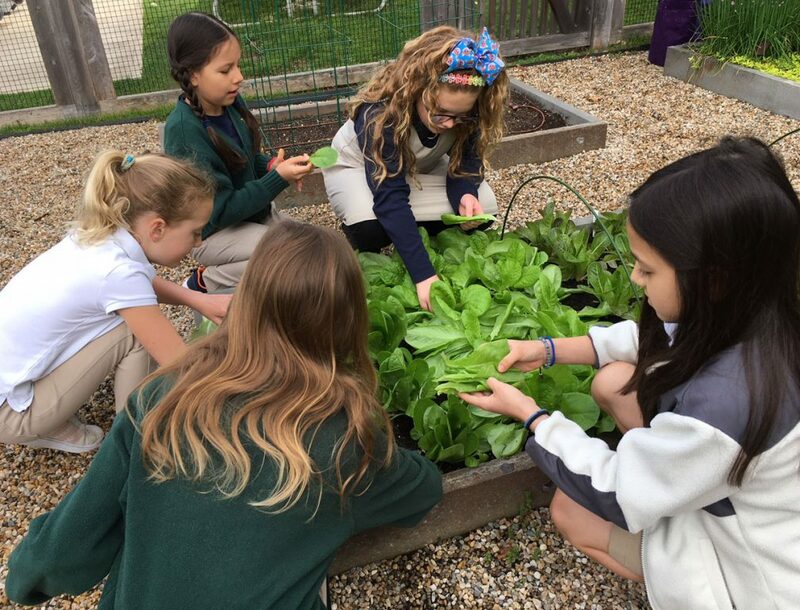 This is just one of the many varieties of lettuce that fourth graders started from seed in early March. 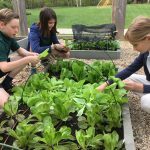 A second variety, Grandpa Admire’s, has been a staple in the Unquowa garden for several years. 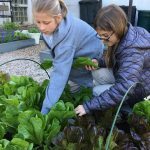 This popular heirloom has deep crinkled leaves splashed with color and was named after Civil War veteran, Grandpa George Admire. 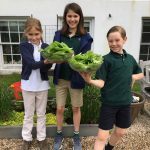 Students have been busy this spring harvesting lettuce for Chef David and Chef Jessica. 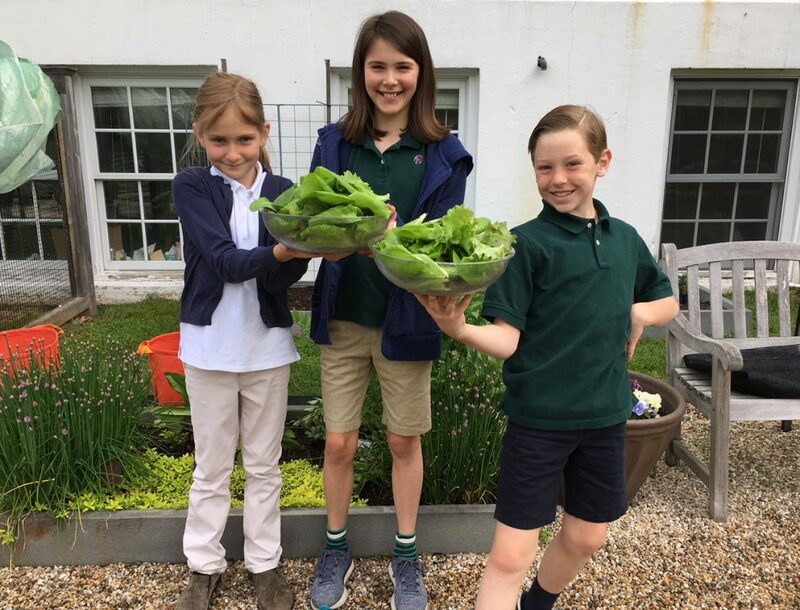 Thank you fourth graders for growing these delicious lettuces for the Unquowa community to enjoy at lunch! 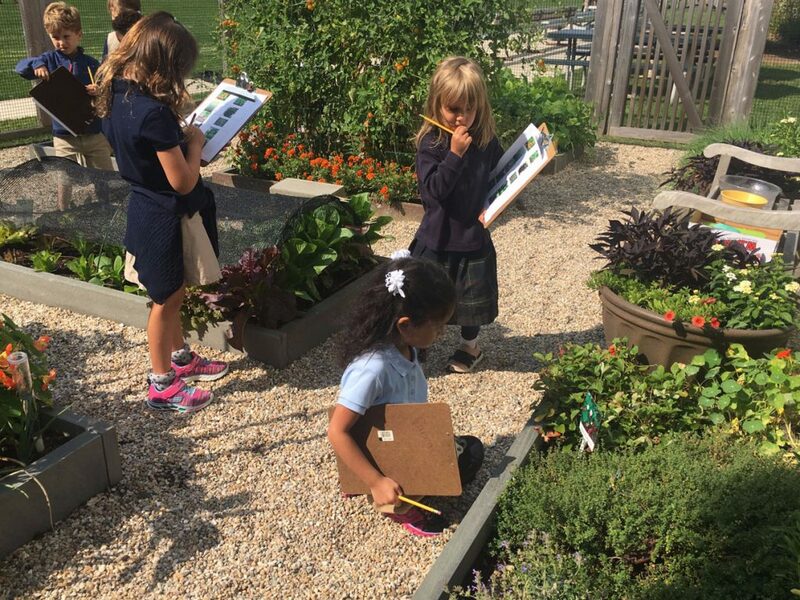 On a beautiful morning the first graders went on an exciting scavenger hunt through our Unquowa garden! 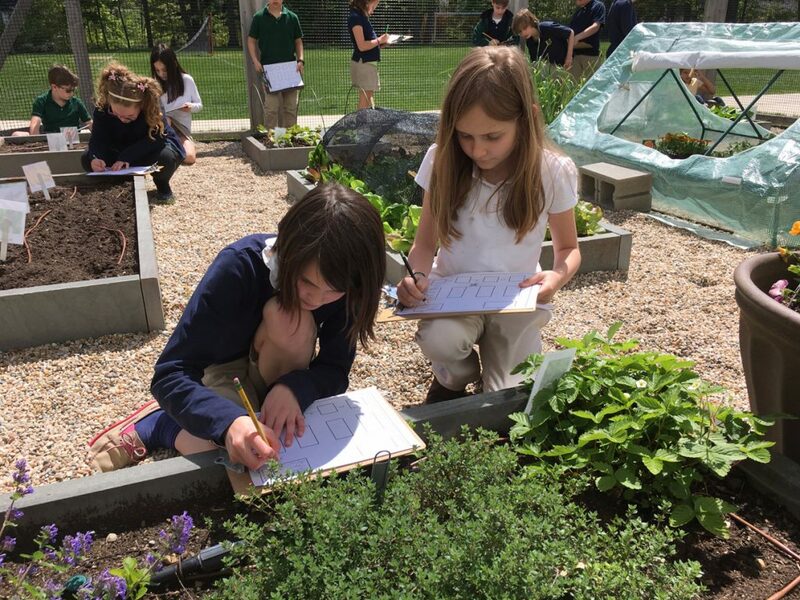 They looked closely for various vegetables and herbs and recorded their findings. 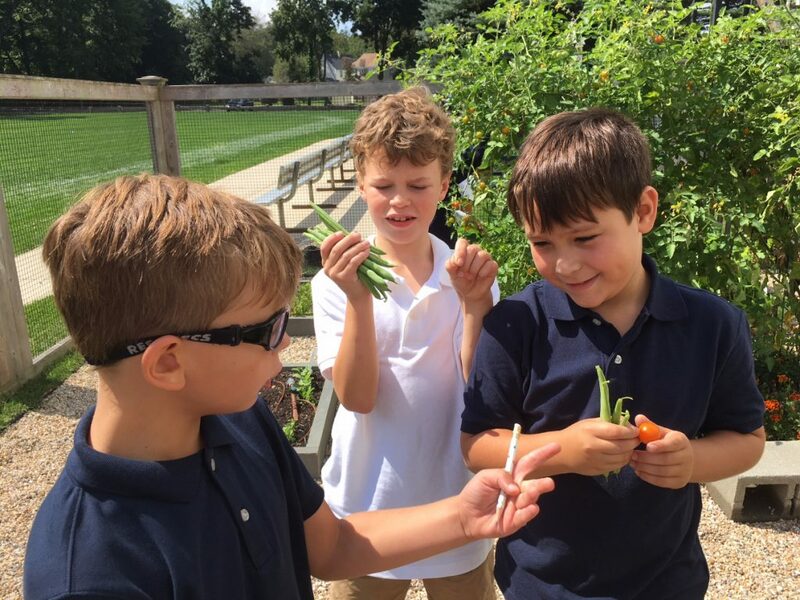 The first graders also harvested yellow, purple, and green beans for their classmates to enjoy at lunch. 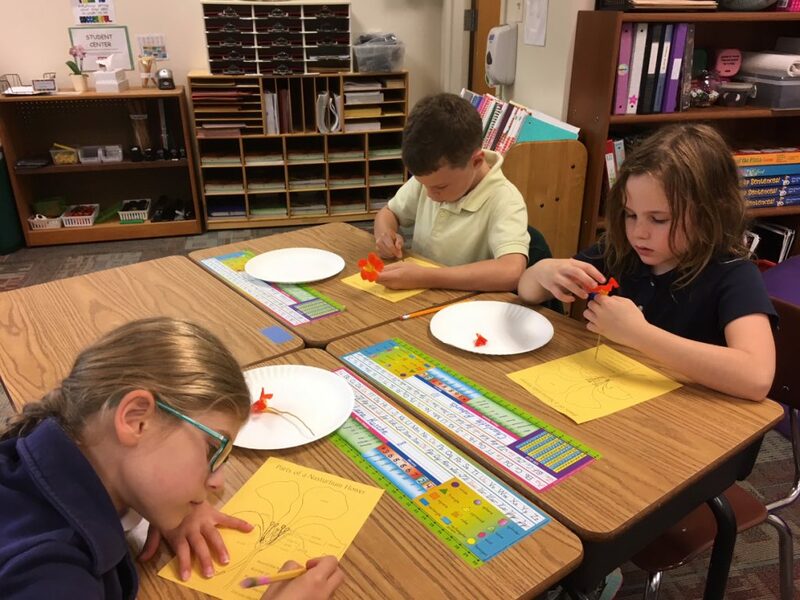 We also sampled some of our garden’s yummy Sungold tomatoes! 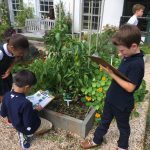 Many thanks to Mrs. Curran for our adventure in the garden! 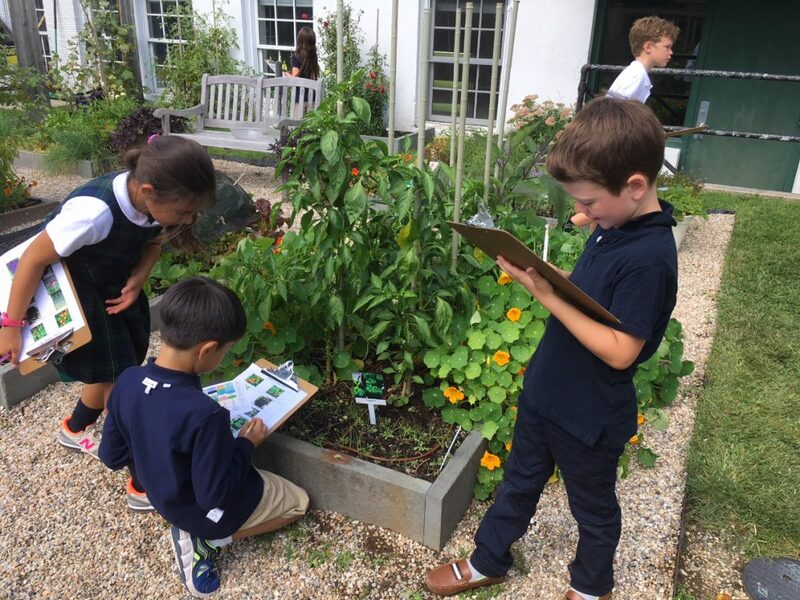 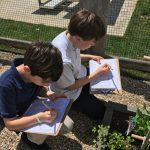 Third graders began their study of plants with a scavenger hunt in the Unquowa Garden. 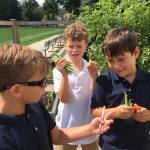 Purple, yellow and green beans were harvested and sungold tomatoes were picked and sampled. 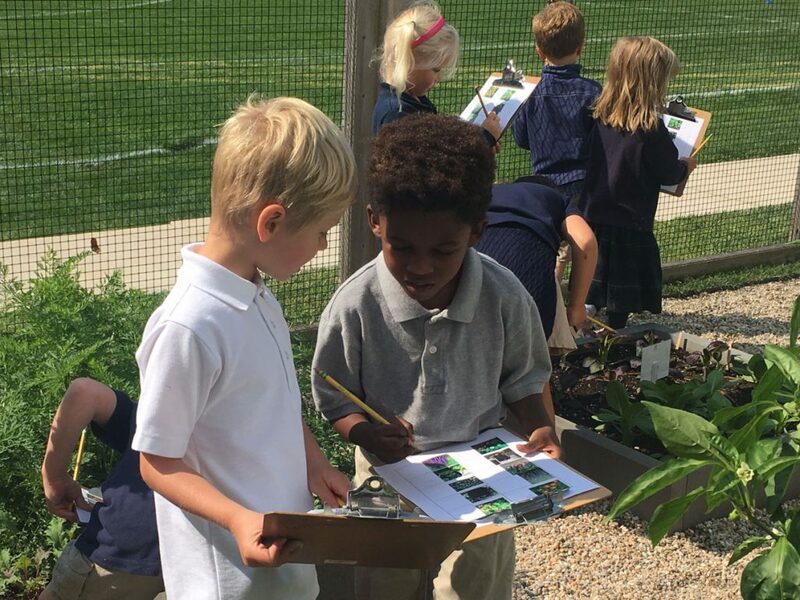 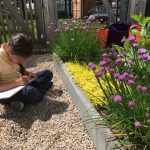 The young botanists have been learning about the structures and processes of plants and discovering new foods as they study roots, stems, leaves, flowers, fruits and seeds. 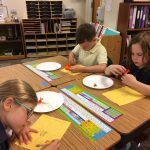 Students explored the parts of a seed by investigating a soybean and identified the petals, stamens, pistil and nectar in a nasturtium. 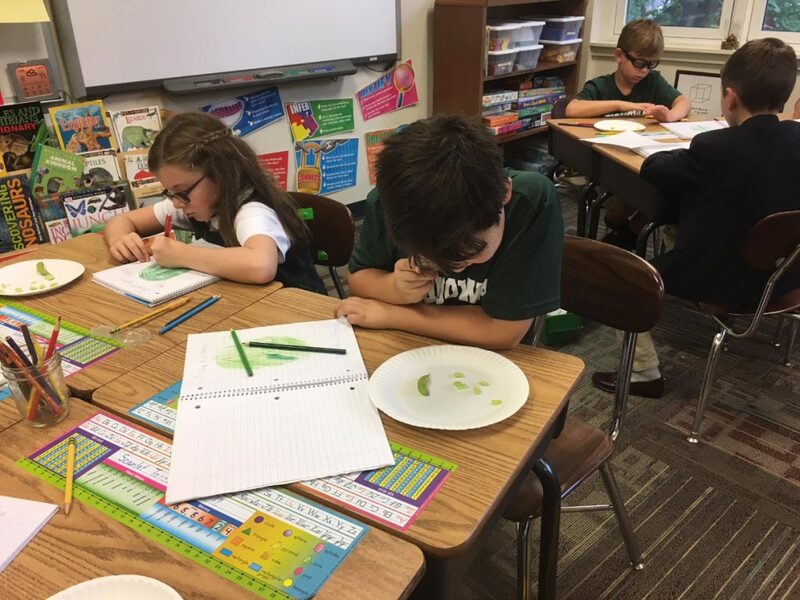 In addition, they planted sugar snap peas in the Grow Lab and have been documenting their observations in a journal. 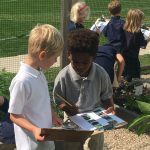 Third grade knowledge and interest in plants has been impressive! 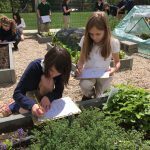 In early May, third and fourth graders were challenged to use a map to record plants growing in the Unquowa Garden. 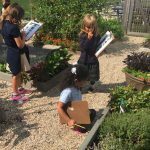 They identified over 40 varieties of vegetables, fruits, flowers and herbs. 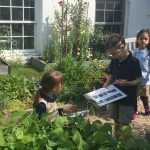 Students enjoyed smelling herbs in our “tea” garden by rubbing their fingers on the leaves of lemon balm, chocolate mint and lavender. 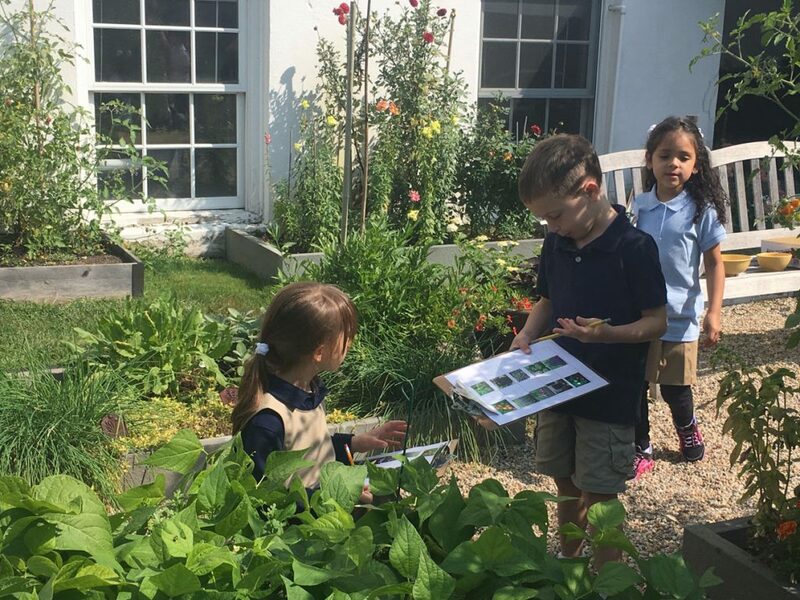 Come tour our garden. 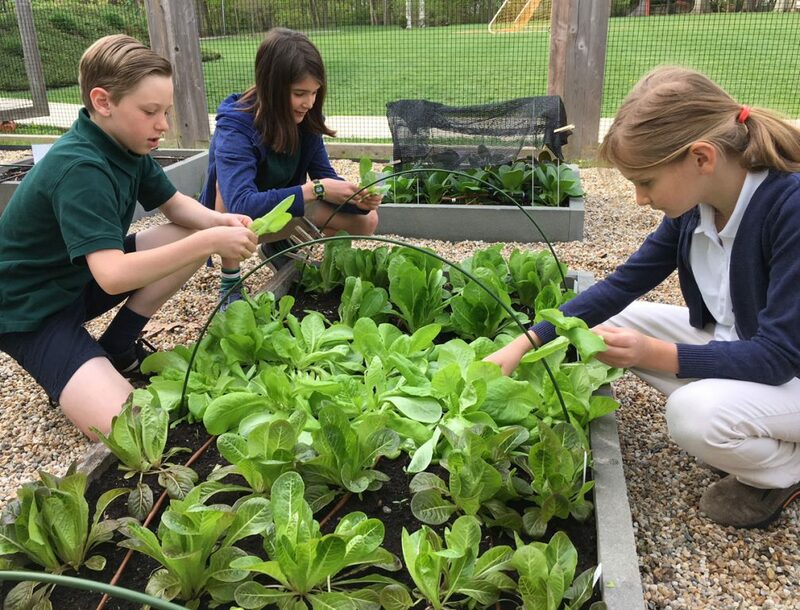 There are raised beds of sugar snap peas, purple pac choi, Easter egg radishes and yellow wax beans. 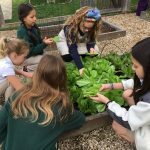 In addition, there are many varieties of flowers including snapdragons, sunflowers, nasturtium and French marigolds. 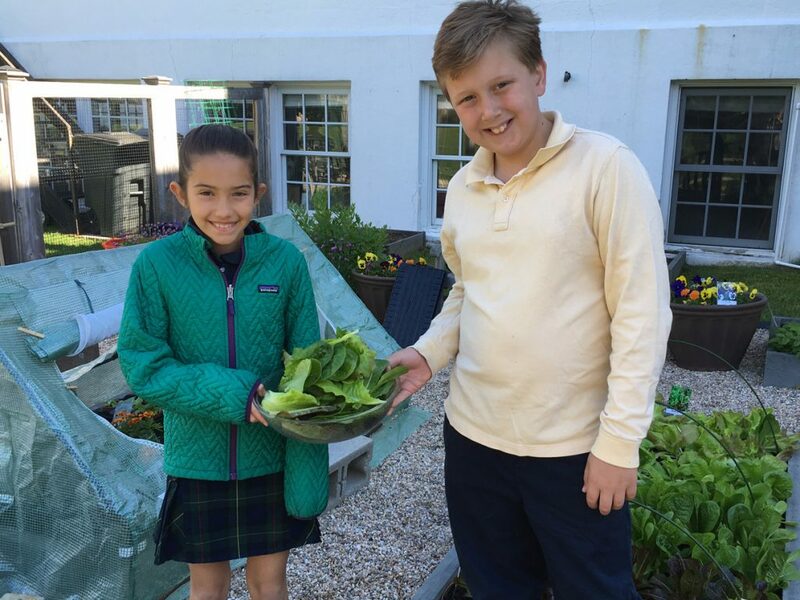 In Environmental Science, fourth graders researched heirloom varieties of fruits and vegetables. 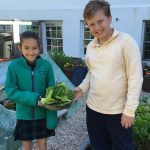 They learned that heirlooms can be hundreds of years of years old, often have interesting stories or histories and are considered by many to have a superior taste, color and smell. 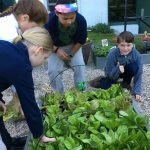 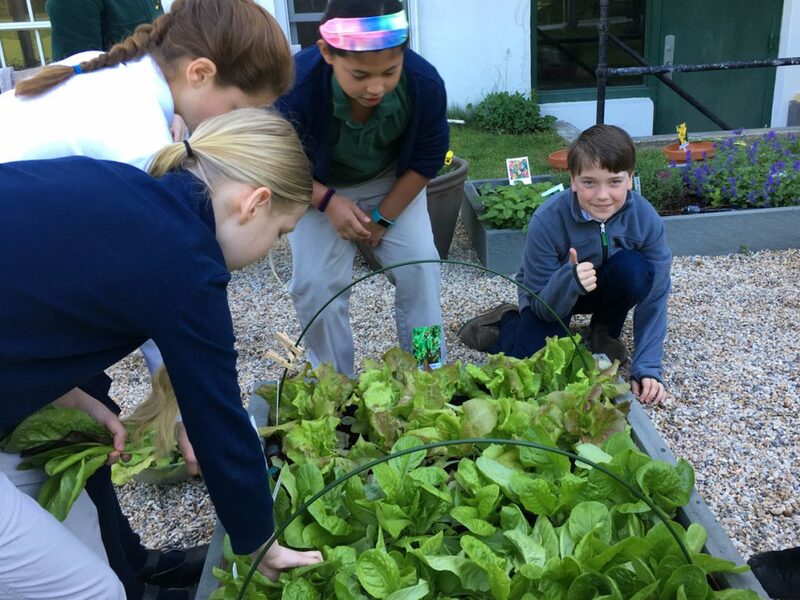 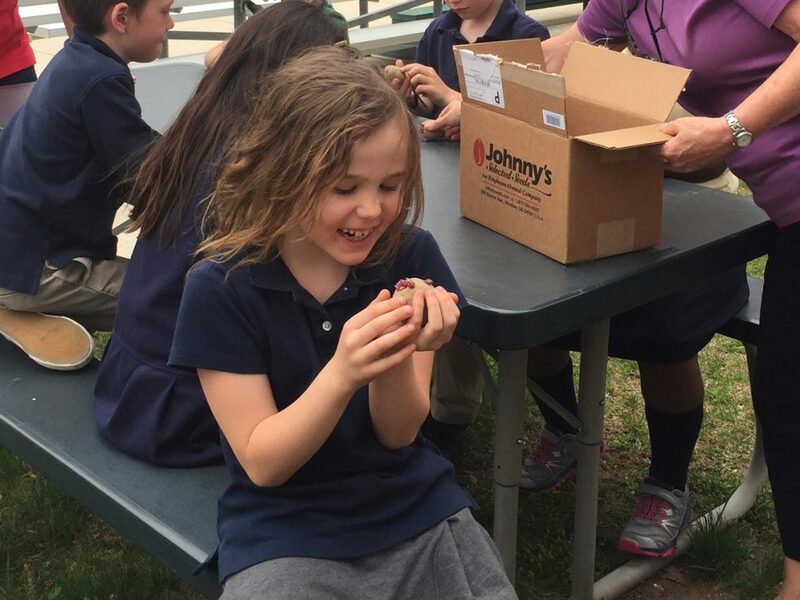 In conjunction with their study of heirlooms, fourth graders started Grandpa Admire’s lettuce from seed in March and transplanted it along with several other varieties in the Unquowa Garden when they returned from spring break. 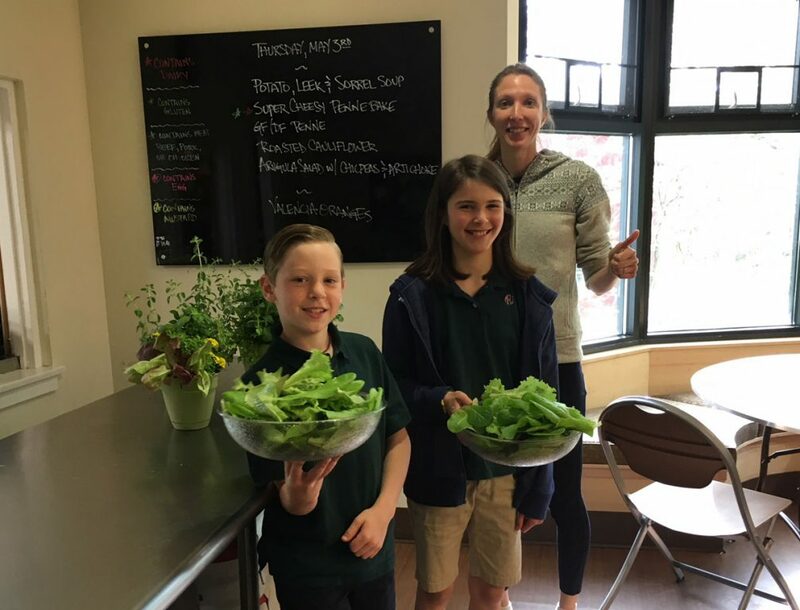 We have been enjoying delicious salads prepared by Chef Jess from lettuce harvested by our fourth graders! 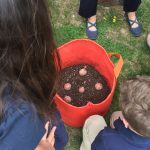 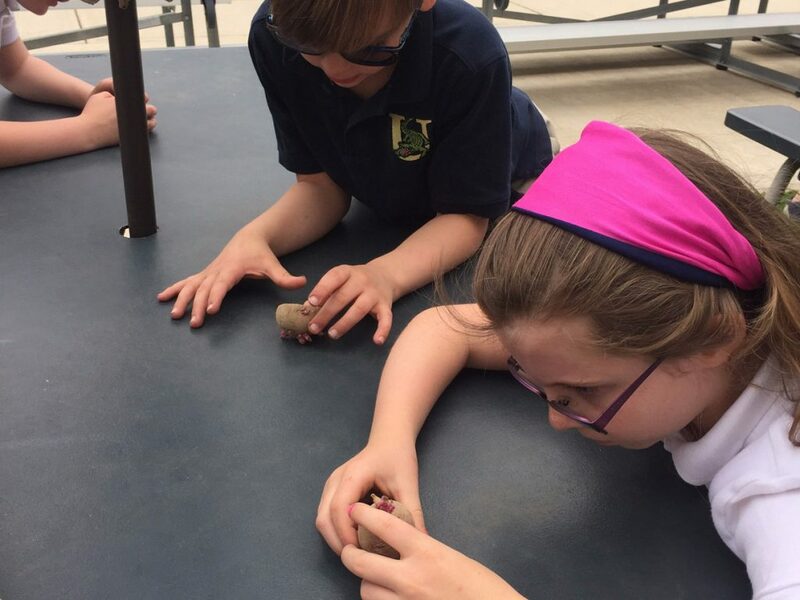 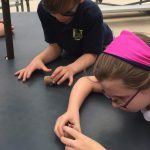 After reading Two Old Potatoes and Me by John Coy, second graders planted Red Norland potato seed pieces in growing bags partially filled with a mixture of soil and compost. 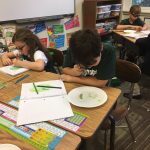 They learned that potatoes are tubers and have eyes that sprout into stems. 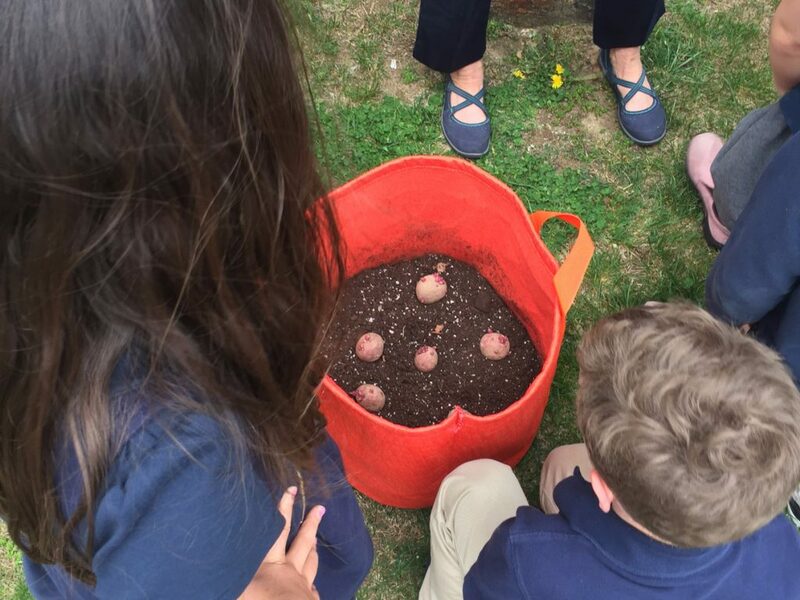 Students will be looking for signs of growth and adding soil as the potatoes grow. 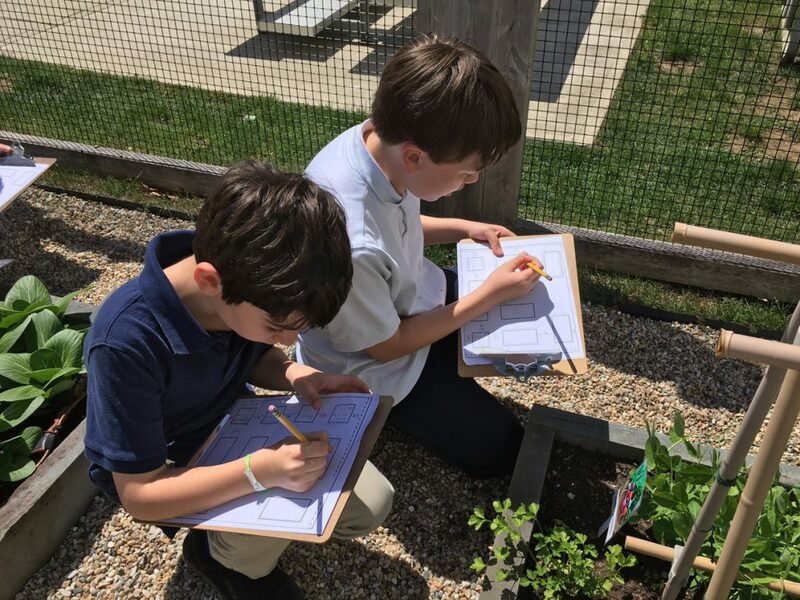 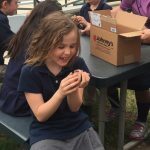 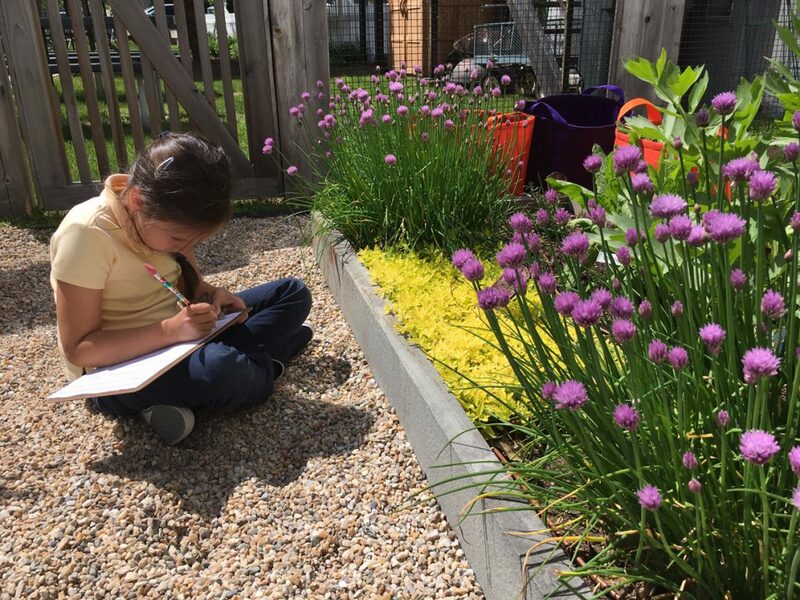 Second graders also enjoyed exploring the garden, observing early signs of sugar snap peas and sampling chives from one of the herb beds.